Let the comfort-fest begin with the Sensations Grey Rocker Recliner. Padded arm rests and a padded headrest offer the hug you need after a tiresome day, while the reclining mechanism takes you to a whole new world of soothing relaxation. Wrapped in smooth, grey 100% polyester upholstery, this piece is sure to match alongside nearly any existing pieces. 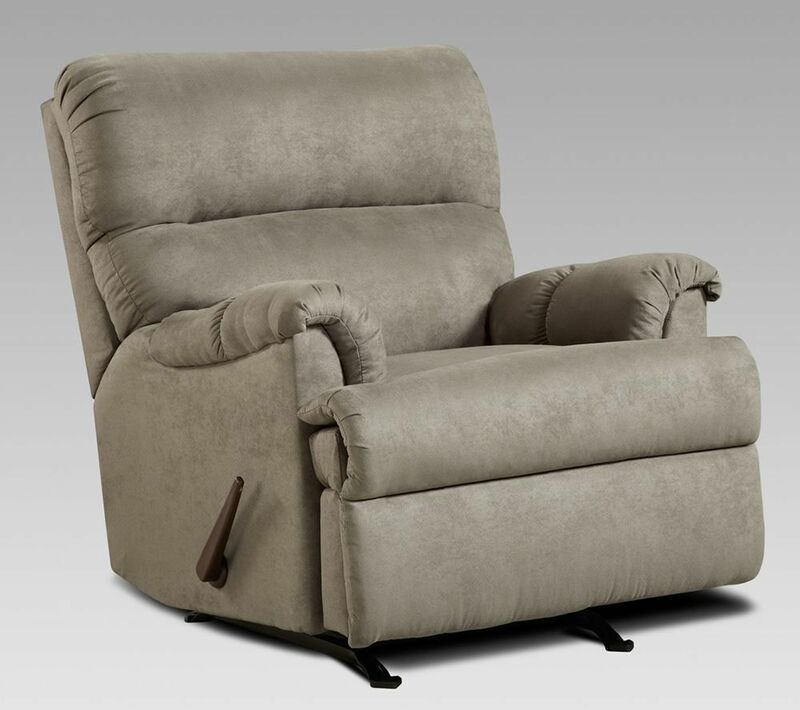 Let the comfort-fest begin with the Sensations Grey Rocker Recliner.